Complicated access to cheap long-term loans is one of the main obstacles for local governments when it comes to increase energy efficiency and green energy. Activists at Ecoclub are urged to provide more funding to local institutions that will have the task of supporting low carbon measures. 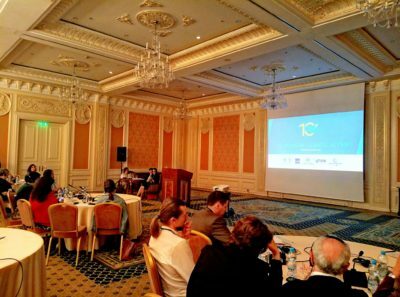 On June 19-20, the International Forum of Civil Society Organizations on Climate Funding was held in Kyiv. Representatives of Ecoclub made proposals to the Climate Investment Fund in order to obtain support for local communities. Environmentalists are convinced that Ukraine has a huge potential to increase energy efficiency and renewable energy sources (RES). Almost all energy efficiency measures and most renewable energy sources are already commercially attractive at the moment, but the difficult political and economic situation does not allow for this potential to be realized in Ukraine. At the same time, thanks to ongoing decentralization efforts, local self-government bodies have received more rights, opportunities, and commitments. It is important now to ensure their transition (local decentralization) to a low carbon development trajectory. Activists called on support not only for infrastructure climate projects, but also to develop financial products that are tailored to the capacities and conditions of local communities. Access to affordable long-term climate financing will ensure a faster low-carbon transition in Ukraine. For reference: In 2018, the Climate Investment Fund will be 10 years old and during that period it has supported more than 300 climatic investments in 72 developing countries, with a total value of about 8 billion dollars. These investments have accelerated climatic activities by expanding opportunities for clean technologies, energy access, climate change, and forest sustainability in developing countries and middle-income countries. *The Revolving Fund – is an alternative funding instrument for associations that is actively used in western countries. Unlike financing from local or state budgets, the funds of the revolving fund are much more mobile: they can be disposed of not only within a single fiscal year, but also avoid additional bureaucratic restrictions in the form of a funding program, etc. The revolving fund provides a turning point for funds for the implementation of certain projects. In the event that a project funded from a revolving fund has become profitable or managed to save money, these funds are returned to the revolving fund and used to finance the following activities.